Step off the beaten path and head to The Archipelago Trail and Kupittaa Park. Get outdoors at Uto and Vepsa Island. 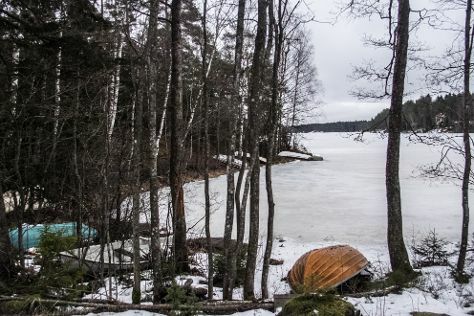 Venture out of the city with trips to Parainen (Pargas Lime Stone Quarry & Pargas Church), Vaski Adventure Island (in Naantali) and Louhisaari Manor (in Askainen). There's still lots to do: test your problem-solving skills at popular escape rooms, see the interesting displays at Kylamaki Village of Living History, sample the tasty concoctions at Mathildedalin Kylapanimo, and head off the coast to Rosala. To find ratings, where to stay, more things to do, and more tourist information, go to the Turku travel planning site . Amsterdam, The Netherlands to Turku is an approximately 8-hour flight. You can also drive. The time zone difference when traveling from Amsterdam to Turku is 1 hour. Traveling from Amsterdam in July, Turku is a bit cooler at night with lows of 13°C. Cap off your sightseeing on the 22nd (Mon) early enough to go by car to Kimito Island. On the 23rd (Tue), admire the masterpieces at Soderlangvik and then deepen your knowledge of military history at Oro. Get ready for a full day of sightseeing on the next day: surround yourself with nature on Archipelago National Park. To see photos, where to stay, more things to do, and other tourist information, refer to the Kimito Island travel itinerary planner . Traveling by car from Turku to Kimito Island takes 1.5 hours. Alternatively, you can take a bus. Expect a daytime high around 25°C in July, and nighttime lows around 13°C. Wrap up your sightseeing on the 24th (Wed) early enough to travel to Pernio. Perniö is a former municipality of Finland. Start off your visit on the 25th (Thu): explore the striking landscape of Teijo national park. Here are some ideas for day two: experience rural life at Ruukin kehräämö ja puoti Oy. For ratings, reviews, maps, and other tourist information, you can read our Pernio trip builder app . Traveling by car from Kimito Island to Pernio takes an hour. In July, daytime highs in Pernio are 25°C, while nighttime lows are 13°C. On the 26th (Fri), wrap the sightseeing up by early afternoon so you can travel to Rosala. On the 27th (Sat), see the interesting displays at Rosala Viking Centre and then enjoy the sea views from Bengtskar Lighthouse. For more things to do, maps, photos, and other tourist information, read our Rosala route planning app . Getting from Pernio to Rosala by car takes about 2 hours. In July in Rosala, expect temperatures between 24°C during the day and 13°C at night. 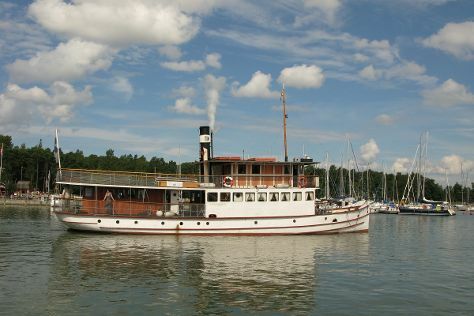 You will leave for Uusikaupunki on the 28th (Sun). Get outdoors at Katanpaa and Isokari Lighthouse. Explore hidden gems such as Automobile Museum and Uusikaupunki Old Church. For maps, more things to do, where to stay, and more tourist information, you can read our Uusikaupunki day trip site . Getting from Rosala to Uusikaupunki by car takes about 3.5 hours. In July, plan for daily highs up to 24°C, and evening lows to 13°C. Finish your sightseeing early on the 31st (Wed) so you can travel to Nagu. Kick off your visit on the 1st (Thu): make a trip to Nagu Church, then learn about all things military at Maritime Exhibition Sjofartshuset, and then identify plant and animal life at Lenholm Conservation Area. Here are some ideas for day two: head off the coast to Jurmo Island, don't miss a visit to Korpo Church, and then don't miss a visit to Skargardscentrum Korpostrom Archipelago Centrum. To find photos, more things to do, maps, and more tourist information, read our Nagu trip itinerary builder app . Drive from Uusikaupunki to Nagu in 2.5 hours. In July, daytime highs in Nagu are 24°C, while nighttime lows are 13°C. On the 3rd (Sat), you're off tohome.